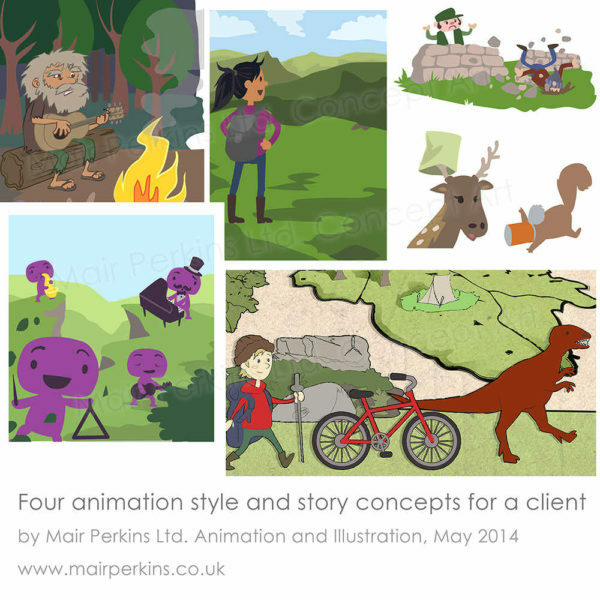 Peak District National Park Animation | Mair Perkins Ltd. 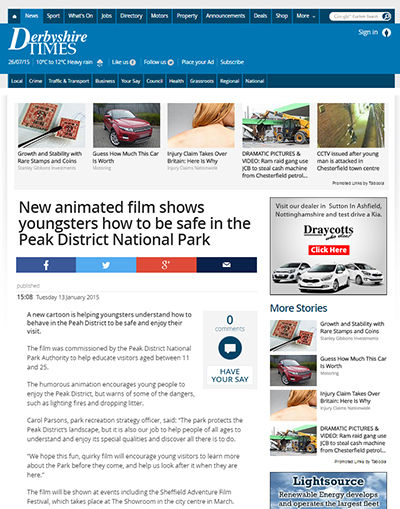 The Peak District National Park authority commissioned my animation studio to create an animation primarily aimed at 14 - 25 year olds to explain how to visit the parks responsibly and safely. We worked closely with the Park Authority and groups of young people to select which messages to communicate and how best to convey them. 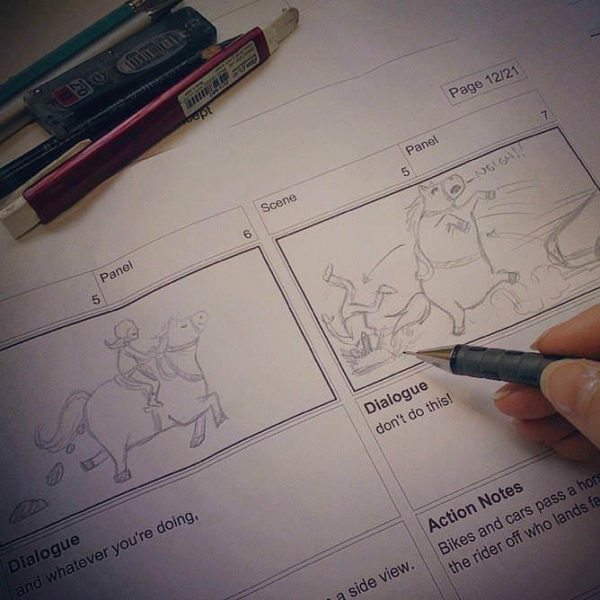 We tested several concepts and storyboard ideas to decide that a fun, slightly edgy humorous approach worked best. It was a pleasure working with Mair and her team. I found her service reliable and responsive. It was a big ask to produce a quirky, catchy animation aimed at young people, with humour and pro environmental messages - all on a small budget - but they came out tops! The animation is imaginative, entertaining, informative and most importantly met the brief. Ben, the music producer wrote and produced the song “Do this.” especially for the animation in conjunction with the young people and staff. The ‘Do This’ song is sung in a broad accent by Derbyshire singer, Lewis Hall. 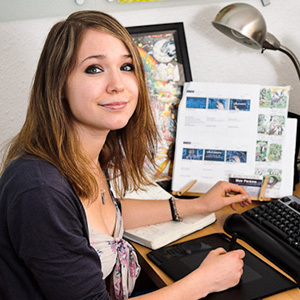 The animation was officially released in January 2015 with great success. It featured in the local press, was screened at film festivals and the humorous scenes really caught people’s attention online and got some interesting conversations going. Currently the animated video is displayed on the Peak District website, it’s used in presentation to groups of young people before they embark on an adventure in the Peak District and it’s shown on screens around Manchester hospital. 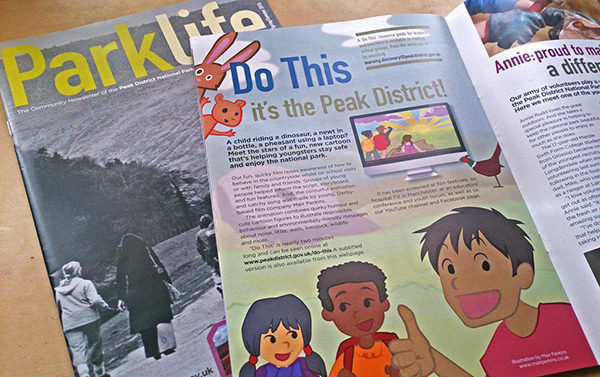 The Peak District animation was released with a great deal of attention! 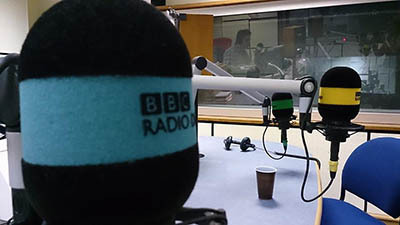 The animation was screened at film festivals, Ben and I were interviewed by BBC Radio Derby, we spoke at a film screening at Derby’s QUAD Gallery and several local news publications published articles on the animation.